Today's comic is a response to this installment of Kate Beaton's Hark, a Vagrant! 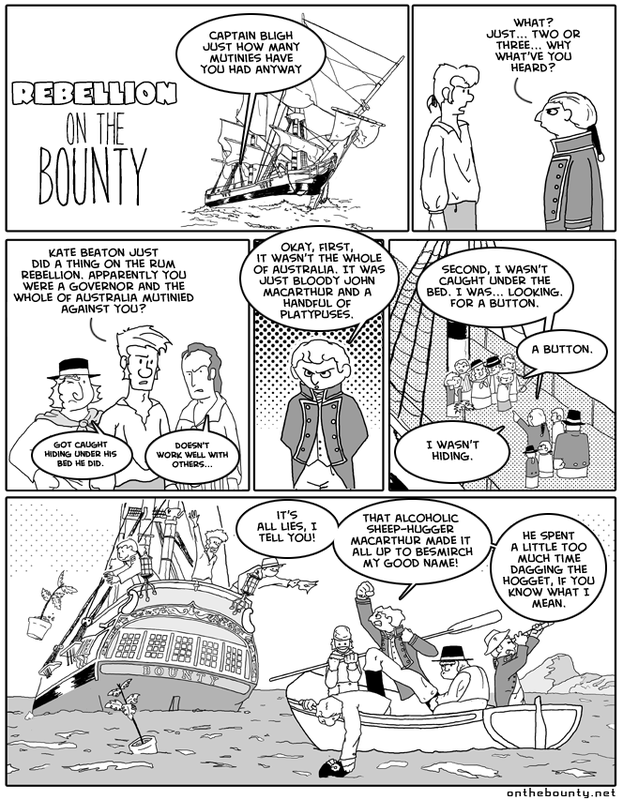 which pretty accurately depicts the major events of the oddly rumless Rum Rebellion. Bligh was in at least two mutinies in his life. Three if you count the journey to Australia in which Bligh pissed off one of his subordinate captains so much he literally opened fire on Bligh's ship. 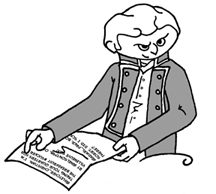 There are several theories about Bligh being caught hiding in or around his bed, mostly due to the account given by MacArthur and Johnston supported by this artistic rendering of Bligh which became quite popular. For his part, Bligh provided this rebuttal depicting MacArthur.